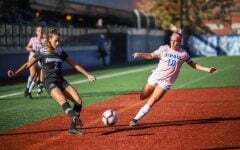 DePaul women’s soccer undefeated streak lives on, but the manner it was achieved left the team disappointed Thursday. 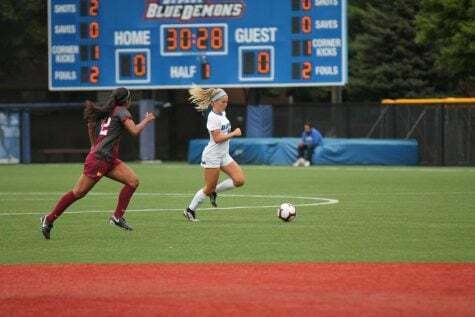 The Blue Demons blew a 3-1 lead in the second half to tie Georgetown in the team’s Big East opener. 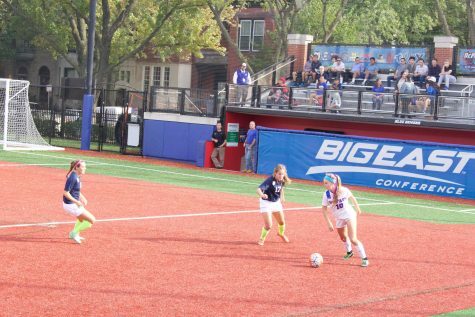 After scoring their third goal, DePaul let in a Georgetown goal less than a minute later. 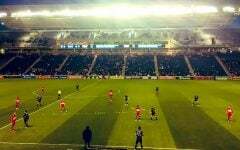 The Hoyas soon tied the game another five minutes after. 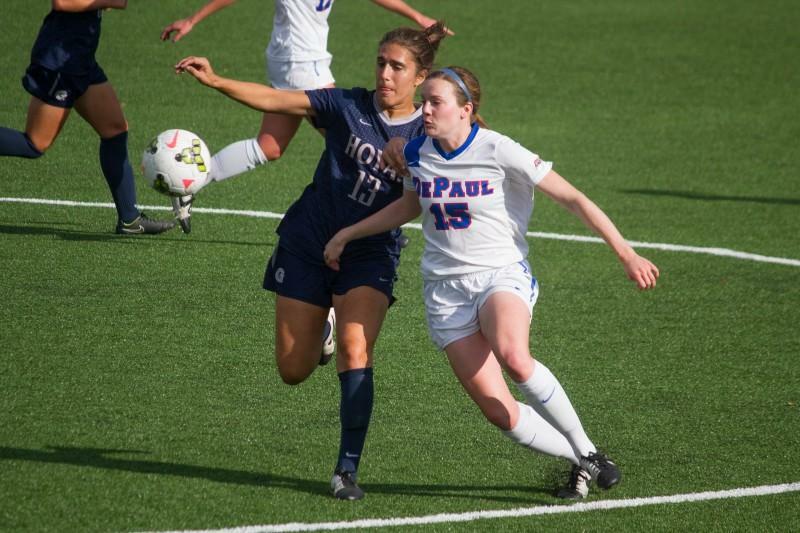 DePaul improved to 8-0-2, but were unsatisfied with the result. 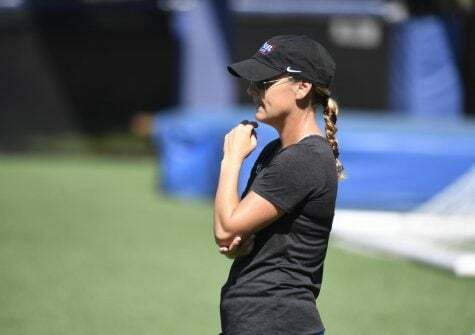 “We’re disappointed not to win the game,” DePaul head coach Erin Chastain said. 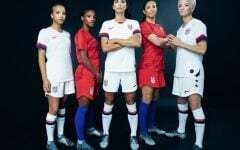 “We certainly created a lot of chances to score. I thought their keeper made a couple of good saves. But we created enough chances to win. 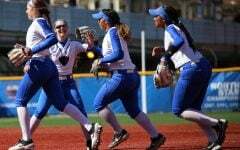 “Georgetown is one of the top teams in our conference and it was a good test to see where we’re at,” she said. The Blue Demons outshot Georgetown, 21-10. However, they weren’t able to capitalize with only five shots on target. DePaul trailed early when Georgetown midfielder Daphne Corboz slipped a shot right by DePaul goalkeeper Godinez in the first four minutes. The Hoya’s three goals were the most allowed by Godniez since a 3-0 loss at St. John’s in Nov. 2013. 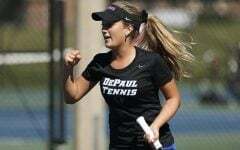 DePaul got on the board when sophomore Abby Reed found Elise Wyatt in the box and Wyatt punched it in from the left side. 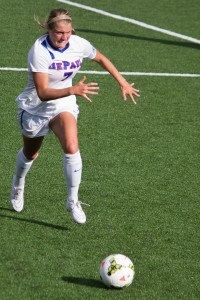 Wyatt also scored the Blue Demons’ third goal of the game with another assist from Reed. 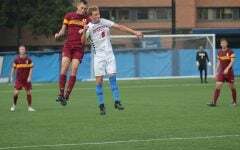 Wyatt now has eight goals on the season and is continuing to develop a connection with Reed. 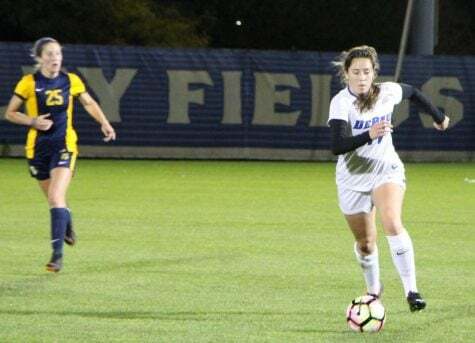 The combined six goals created an exciting atmosphere, which was a positive considering the Big East Digital Network aired the game. Wyatt said that when two of the top teams in the Big East come together, it creates an exciting game. Georgetown and DePaul met in the semifinals of the Big East tournament in 2013 with the Blue Demons prevailing 1-0. 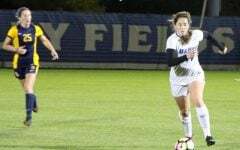 In the 70th minute, Georgetown forward Sarah Adams scored her second goal of the game to tie it. The Blue Demons appeared gassed, falling on the ground and lacking the burst that was there throughout the game. 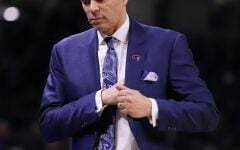 But in two overtimes, DePaul gained a second wind. 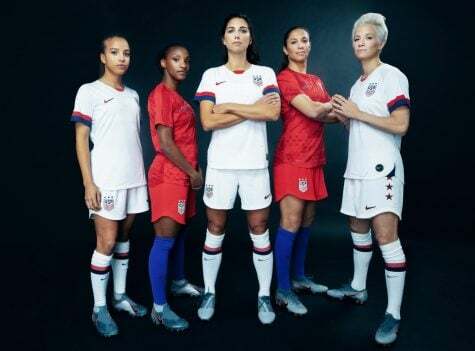 They got seven shots off, including two headers that just sailed over the top of the goal post. Chastain said the tie was a positive learning experience and showed what the team has to improve on for the future.